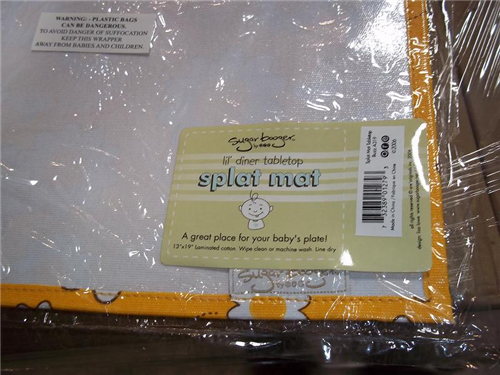 Splat Mat – lil’ diner tabletop. 13” x 19” laminated cotton. A great place for your baby’s plate! Wipe clean or machine wash.